PARIS, Jan 24, 2013/ — Haute couture – the pinnacle of fashion! To mere mortals like us, most can only aim for high street. And to those that had been favored by the fashion gods, there is haute couture wherein centuries-old tradition of craftsmanship is used to create one garment. A dress or a gown can take hundreds of hours to sew, embroider and embellish. And of course, there are the fittings, wherein nothing is left to chance. The clothes fit like second skin! It’s precise tailoring; it’s fashion creativity at its best. There are only a handful of names in the official list of couturiers that is controlled and guarded zealously by the Chambre Syndicale de la Haute Couture, France’s fashion governing body. Only a few knows the criteria of how one can be included in the list. And even that knowledge is a guarded secret. And this season, Zuhair Murad has been allowed in that elite circle when for the first time the Board of Directors of the Chambre Syndicale de la Haute Couture selected Zuhair Murad to show in the official calendar. And to paraphrase Neil Armstrong; it might be a small step for a model, but a giant step for a designer. For an aspiring couturier, being on the official Haute Couture calendar is the first step to be vetted in the elite circle of “couturiers”. Only the Board of Directors of the Chambre Syndicale can officially name a designer a “couturier”. And Zuhair Murad is on his way to be part of that circle. 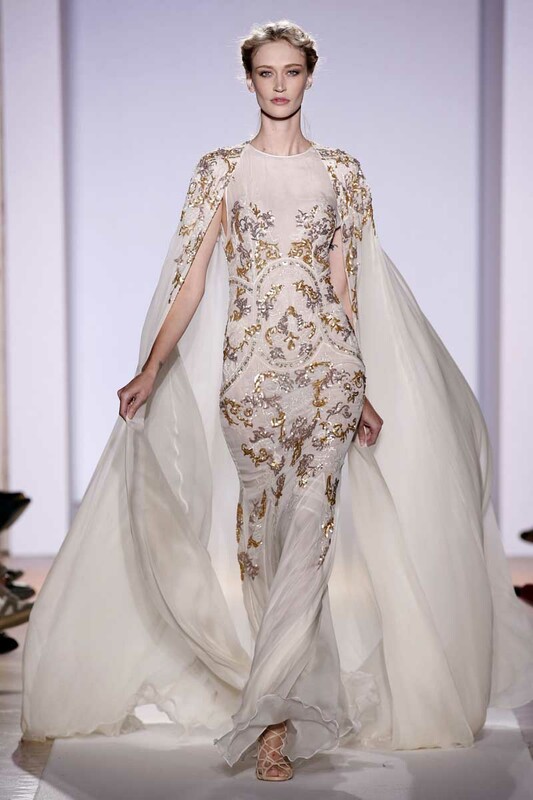 When he does, Zuhair Murad will be the second Lebanese designer to do so. Currently, Elie Saab is the only one from Lebanon on the list. For those who like to keep score, currently, there are no Americans on the list, though Oscar de la Renta by virtue of his work at Balmain and Ralph Rucci under his own cognizance have earned the right to call themselves couturiers. To Zuhair Murad, congratulations for this highly deserved recognition. May the fashion force be with you always!